use noodp and nodir to enable custom robots you need to setting the search preferences enable custom robots. something like above symbol and below on of the code within boy tag. increase internal links and these links appear as h3 headings also decrease user outbound ratio. the default sidebar widgets titles in blogger as h2 tags you need to change that to h4 by editing template. also the popular search time. change default title path title and site name or site after title. the above are basic SEO needs but when the time of obeying its very hard and boring like link building from comments, article writing guest posting, URLs form profURLs, wiki links also more powerful. 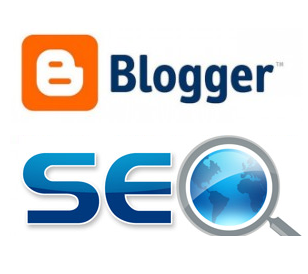 don’t leave blogger platform if you are getting popular other platforms like WordPress offers more customization. you need a .php file in wp-content/themes folder blogger.php. also, you need to create a page with the name called blogger also you need select in template section right sidebar of the editor choose the template that blogger.php. now your blogger URLs redirect to WordPress URLs whatever you user permalink structure there is also a WordPress plugin available that called permalink redirect this is the best out of permalink finder and others. if you have any comments and suggestions and what I am missing let me know? to hide blogger pencil body layout unpick pencil icon. we have to remove the code or making code into the comment. Removing every time when you add widget not friendly way, so you can hide using CSS simple way.